Points Nécessaires : 3050 Veuillez noter que, pour l'instant, vous ne pouvez pas télécharger du contenu à partir de notre plate-forme directement sur un appareil mobile (téléphone, iPod, iPad, tablettes ...). Vous devez télécharger vos articles sur un PC ou un Mac, puis de les transférer sur votre appareil de façon normale. Nous travaillons à autoriser le téléchargement direct aux périphériques mobiles, mais ce n'est pas possible dans la version actuelle de la plate-forme. Désolé pour le dérangement! NOTICE: Activation key must be used on a valid Steam account, requires internet connection. ABOUT THE GAME	I woke up confused. Why did they bring me here? Why did they put a crystal necklace on me? As she wakes up, Luna has no idea where she is. She is alone... or is she? 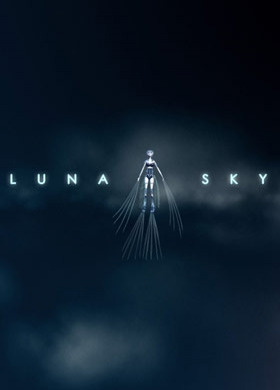 Help her discover this strange world, survive the many challenges that await her, work out the secret of the Crystalline E… xpanse and ultimately escape.Luna Sky offers the best in platform gameplay mechanics to create a high speed, high precision game unlike anything before. Add in a story you will never forget and the result is game you won’t be able to put down. KEY FEATURES 5 unique worlds, 4 of which are dedicated to a special skill you pick up along the way. Full controller support. Steam Cloud. Fully voiced cut-scenes. Super tight physics-based platform game. Multiple upgrades. Fantastic soundtrack with 5 different composers, giving each level a special feeling. Loads of fun extras to enjoy.SYSTEM REQUIREMENTS Minimum: Windows / Linux / SteamOS 64-bit Windows Vista or better / 64-bit Ubuntu 12.04 or better / SteamOS OpenGL 3.0 compatible graphics card Nvidia GPU with proprietary drivers (Linux), Nvidia or AMD GPU on Windows 3Gb disc space Note: Luna Sky works best at 120 FPS.